They’re one of our most popular vegetables here at Between The Bread. How do we know that? Because most of you have been clamoring for them all year! So we’re delighted to report the new crop of fresh Brussels sprouts are in and ready to be included in our dishes! Here’s some background on our vegetable of the month, including the origins of their geo-specific name. 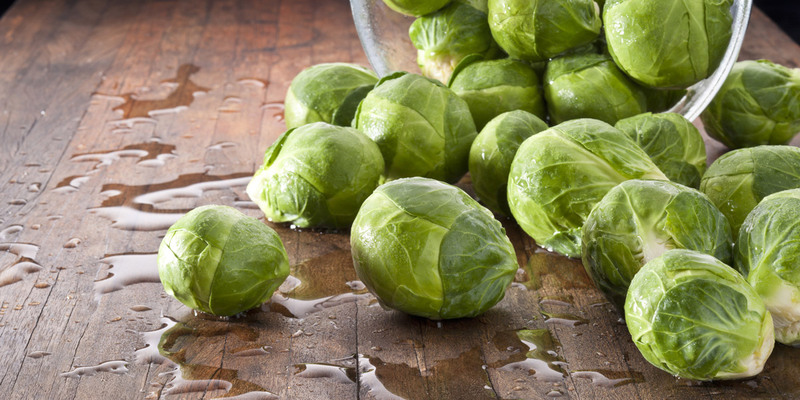 They originated in northern Europe during the 5th century, but were later cultivated in the 13th century near Brussels in Belgium where they gained broader exposure under the name Brussels sprouts. This versatile vegetable can be boiled, steamed, stir fried, grilled, or roasted! Brussels sprouts were introduced to North America in the 18th century when French settlers brought them to Louisiana. But it wasn’t until the 1940’s that the America’s we saw significant production of Brussels sprouts. This is because the bay area of northern California provides ideal weather conditions during the harvest season, which lasts from June through January. Rich in high levels of Vitamins C and K – and with moderate levels of B vitamins, Brussels sprouts are great for improving one’s overall health. They are a great source for iron, potassium and surprisingly, protein. The key to successfully incorporating them into your diet is to pick them fresh and avoid overcooking them. Overcooking causes the bitterness the sprouts are infamous for. Cooked correctly, they’re actually slightly sweet! Come see how we incorporate Brussels sprouts into our monthly menu and get acquainted with this newest member of the power vegetable club.